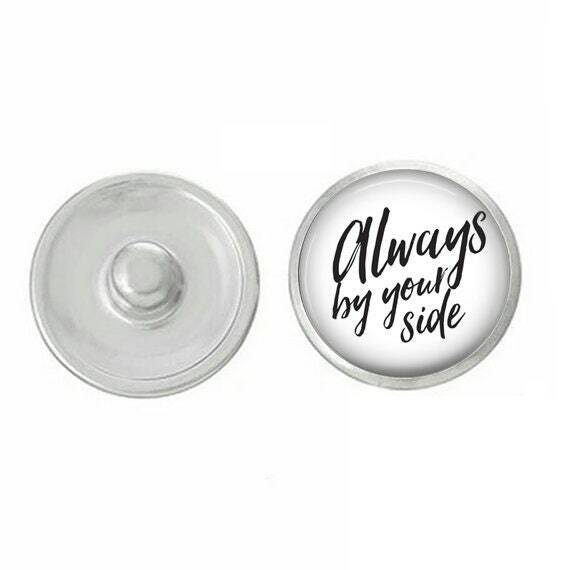 "Always By Your Side" Snap - these snaps are great for weddings favors, special occasions, and gifts. Snaps are hand-pressed. Images are printed on a high-quality paper, hand-cut and hand-pressed. All of our snaps coordinate with Studio66 LLC base pieces, 18mm snap jewelry, Ginger Snaps, Magnolia and Vine, etc. 2. Select your interchangeable snaps. Interested in a custom piece? Higher quantity? Send us a convo and we'll be glad to help!